What do you do when it’s raining? Play in the puddles, of course! 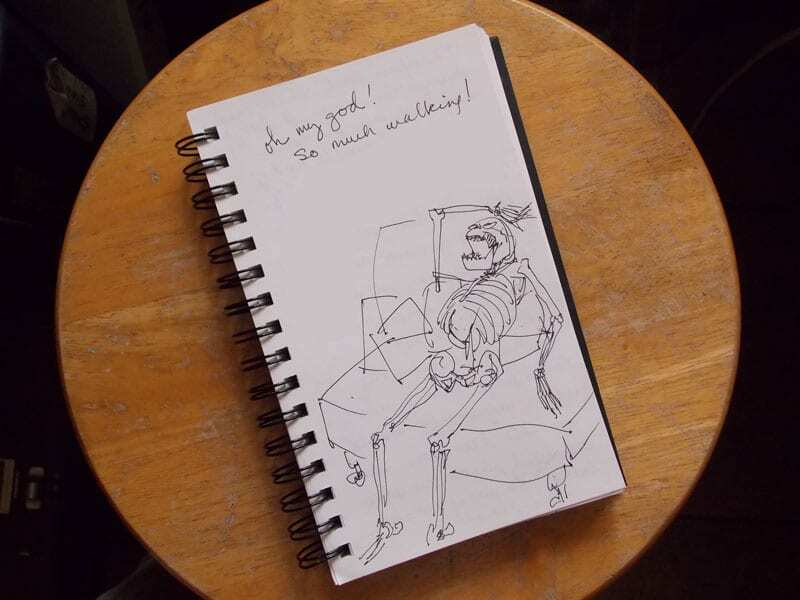 It was raining like crazy again last night and we lost power at the cottage, so I got out my sketchbook and in the early morning light through my window I drew a skelly playing in the rain. Cute, right? I used to love stomping around in the puddles after the rain when I was a little kid, didn’t you? 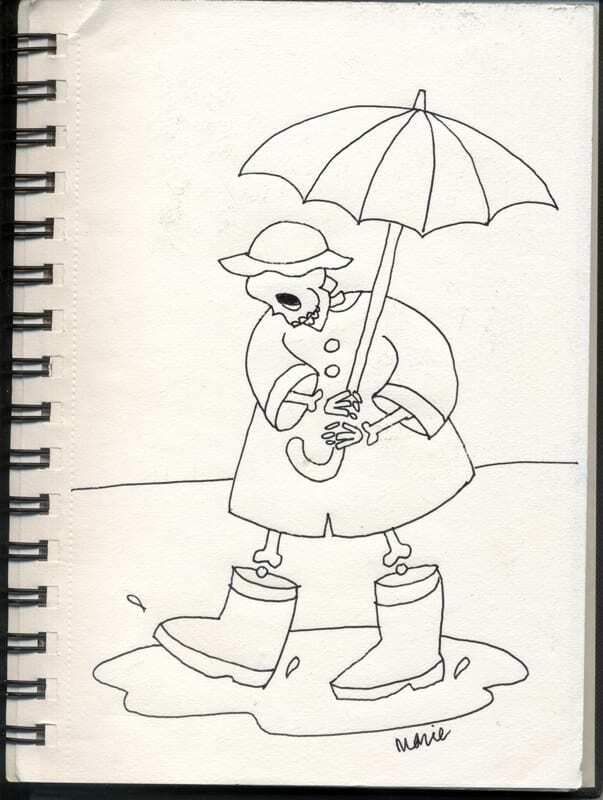 This entry was posted in Black and white drawing, Line drawing, Skeleton, skeletons, skelly and tagged pen and ink, puddle, rain, skeleton, sketch, umbrella on August 28, 2018 by Marie Marfia.